The retirement of Justice Anthony Kennedy and the nomination of Brett Kavanaugh to replace him on the nation’s highest court was supposed to calm jittery Republican nerves about a disengaged base. The worry: that Republican voters would stay home this November in what promises to be a critical midterm election that could see control of both the U.S. House and Senate slip from GOP control. 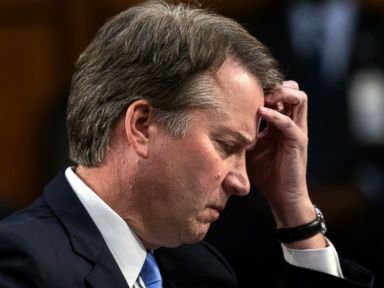 But after allegations of sexual assault against the nominee have surfaced, the political capital Republicans thought they could spend during Kavanaugh’s confirmation fight has evaporated, and the process has become yet another headache for the GOP as the final month of the campaign approaches. The turmoil surrounding the Supreme Court picks comes amid renewed uncertainty surrounding the fate of Deputy Attorney General Rod Rosenstein, the man currently overseeing special counsel Robert Mueller’s investigation into Russian interference in the 2016 election. All of the controversy comes in a midterm cycle where the GOP, fresh off passing a major tax overhaul last year and buoyed by a strong economy, was hoping for an economy-centric message to sell to the American people. But recent polling shows that the tax plan is not as big of a selling point as the GOP once thought. A June poll from Quinnipiac found that 46 percent of voters, including 45 percent of Independents, disapprove of the GOP tax plan, and Bloomberg reported this week that a poll commissioned by the Republican National Committee (RNC) shows that by a 2-to-1 margin voters believe the tax plan benefits wealthy Americans. 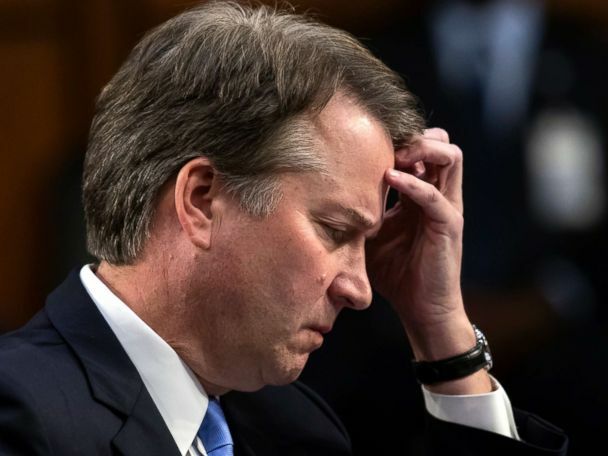 The allegations against Kavanaugh, which he has repeatedly and aggressively denied, have forced Republican candidates into the difficult and often awkward position of defending Kavanaugh as the controversy surrounding his nomination grows deeper seemingly by the day. That pressure has been happily applied and ramped up in recent days by their Democratic opponents, who have mostly been on the defensive following Kennedy’s retirement and are defending ten U.S. Senate seats this cycle in states that Donald Trump won in the 2016 presidential election. In North Dakota, GOP Rep. Kevin Cramer has been on his heels in recent days following his comments last week on the allegations brought against Kavanaugh by Christine Blasey Ford, who claims Kavanaugh sexually assaulted her when he forced himself on top of her at a party, groped her and covered her mouth with his hand when the two were in high school. “These are teenagers who evidently were drunk, according to her own statement. They were drunk. Nothing evidently happened in it all, even by her own accusation,” Cramer told a local North Dakota radio station regarding the incident. Cramer’s comment drew a swift rebuke from his Democratic opponent, Sen. Heidi Heitkamp, who has the unenviable task of holding on to a seat in a deep red state the Donald Trump won by roughly 35 points in 2016. The episode provided a rare opportunity for Heitkamp, who prior to the allegations surfacing was a target of Republicans hoping to use the confirmation vote as a political cudgel against her, to instead force her Republican opponent into a politically untenable conversation. Cramer seemed to sink even deeper into the political quagmire on Monday when he questioned whether the allegations against Kavanaugh would be disqualifying even if they are true. “Even if it’s all true, does it disqualify him? 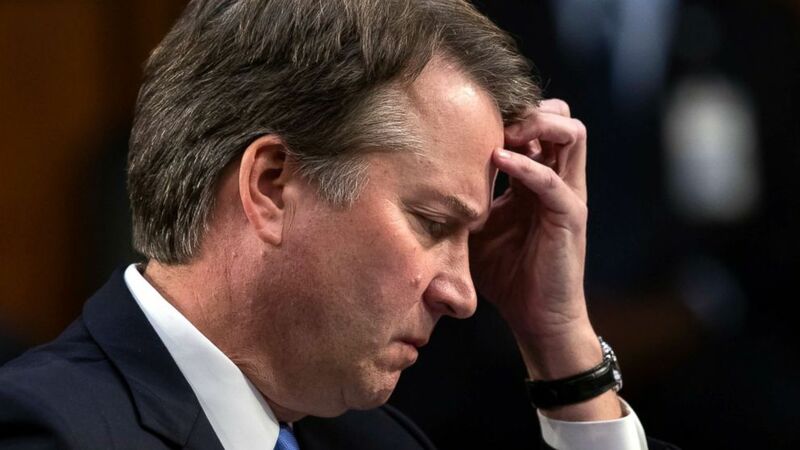 It certainly means that he did something really bad 36 years ago, but does it disqualify him from the Supreme Court?” Cramer said in an interview with local North Dakota television station KX4. A spokesman for Cramer’s campaign did not immediately respond Tuesday afternoon to an ABC News request for comment on Purdon’s statement. McDaniel has also been hounding Hyde-Smith to fight “tooth and nail” to confirm Kavanaugh, attempting to corner her and challenge her loyalty to President Trump in another deep red state full of many of his most fervent supporters. The campaign arm of Senate Republicans, the National Republican Senatorial Committee (NRSC), did not respond to an inquiry from ABC News this week regarding how they are advising candidates to handle the allegations against Kavanaugh and the political fallout. The political conundrum that the Kavanaugh nomination has become has also found its way into the gubernatorial landscape as well. In Georgia, 30 female leaders in the state sent a letter to Secretary of State Brian Kemp, the GOP nominee for governor this cycle against Democrat Stacey Abrams, urging him to rescind his support for Kavanaugh. As the potential for a public hearing continues to loom over Kavanaugh’s confirmation process, so too does the potential for more Republican candidates to face continuing questions over their support for him. ABC News’ Mariam Khan and Kendall Karson contributed to this report.